Posted on January 18, 2015 by admin Posted in Recipes, Vegetables	. Slice jalapenos lengthwise. Cut out the seeds. In a separate bowl, mix cream cheese, BBQ sauce, onion, pepper, and powder. 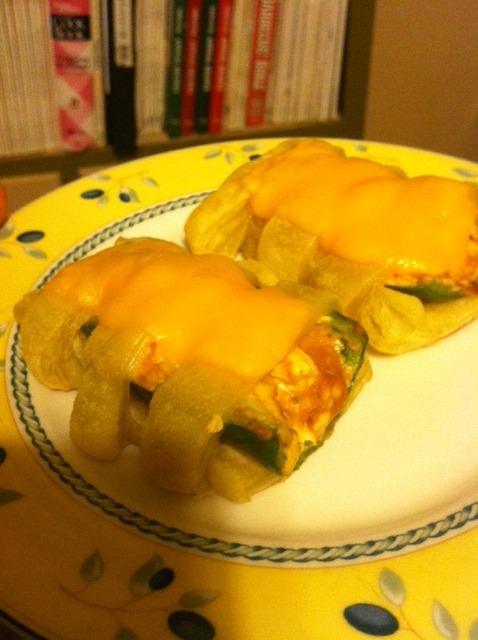 Spread cream cheese inside the jalapenos. Slice the pizza dough into rectangles that fit around the bottom of the jalapenos. Slice thinner rectangles to lay over the jalapenos, connecting to the bottom pizza dough. Bake at 375 degrees for 15 minutes. Tags: Bently’s Batch 5 Puffed Jalapenos	.